Electronic Voting Printer, Impressora de Votos, Impresora de Votos, Imprimante a Vote, Stampante per il Voto. VP4627F was designed to provide a secure printer for an electronic voting machine. It ensures an audit can be done to confirm there is no irregularity in the voting. The technology is protected under International Patent PCT/IB2017/057725. Paper Load Mechanism VSlide allows insulated front and back access for roll paper load. Vote Eject Mechanism VEject ensures votes are pushed inside the container and erases paper curl memory. 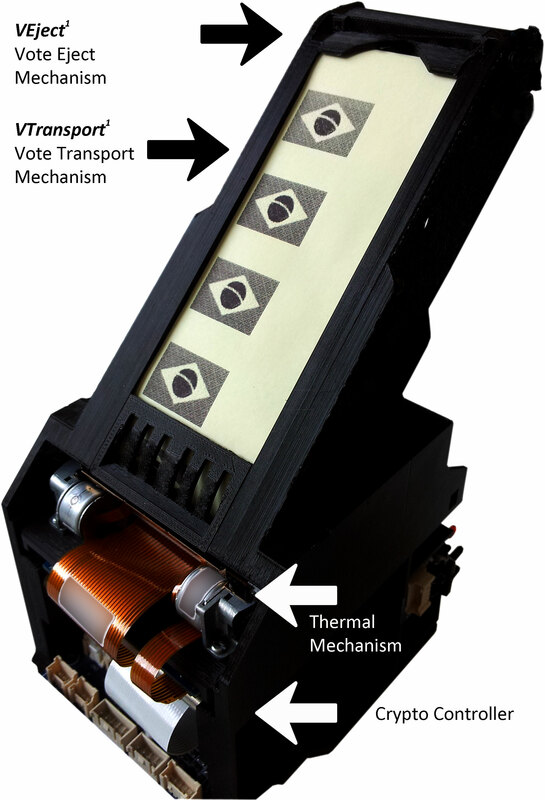 VTransport technology is the technology behind the essential process of taking the vote from the thermal printer, transporting it through the display and delivering it to the Vote Eject Mechanism. The vote data is cryptographed AES-256. Keys are negotiated by Elliptic Curves Cryptography. Secure Firmware Download with key RSA 2048 bits. 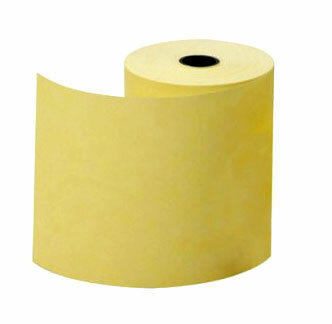 Roll thermal paper is a challenge for this kind of task. It has a strong curl memory and that makes it very hard to transport after been cut into segments. VP4627F has FeedIn and VTransport Technology. So, it's able to work with low cost thermal paper instead of expensive fanfold paper. 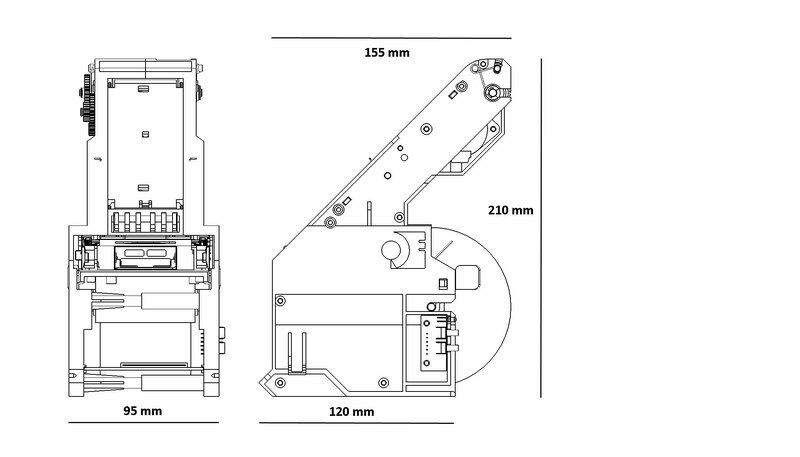 VP4627F can be fitted to any voting machine. 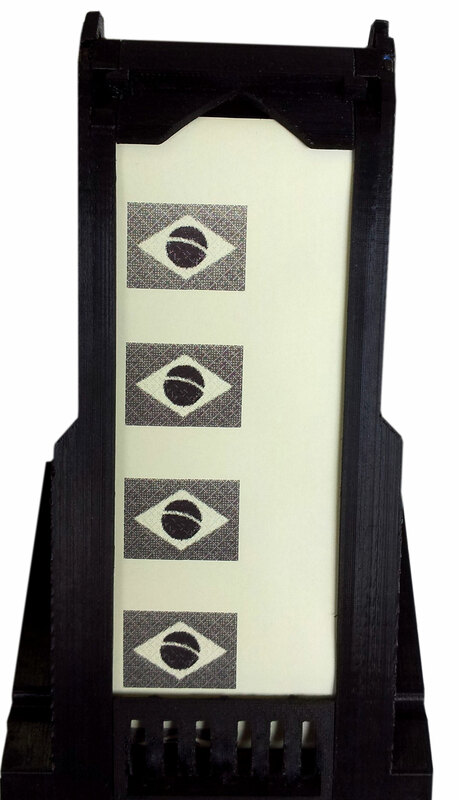 The vote eject point height makes easy the design of the container to hold the printed votes.